Often relegated to being a secondary sangria ingredient, brandy (specifically aged brandy) is a spirit worth surfacing this time of year. Often relegated to being a secondary sangria ingredient, brandy (specifically aged brandy) is a spirit worth surfacing this time of year. Made by distilling wine, brandy is brighter and fruitier than other brown spirits, but it still has those terrific fall spice flavors to make you feel warm and cozy. Here, seven great cocktails to make with brandy right now. A great fall party drink, this punch is made with nutty amontillado sherry, ruby port, brandy, fresh lemon juice and sparkling wine. 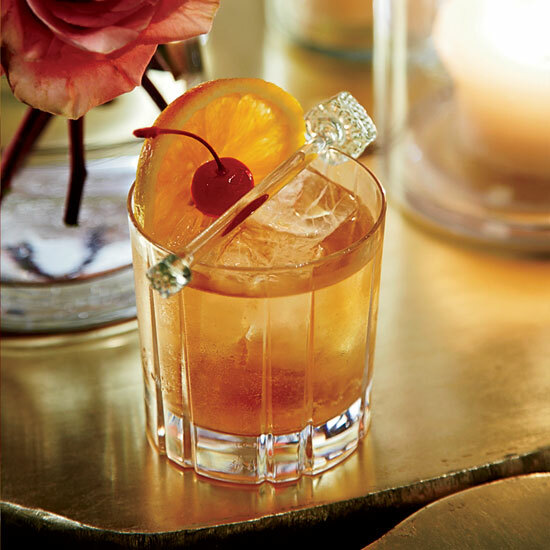 A flavorful maraschino-cherry-and-orange syrup highlights the brandy’s festive brightness. This old school, sweet and creamy cocktail is the perfect boozy dessert substitute. The key to this frothy cocktail is the garnish: a very long lemon peel. It’s not eggnog season yet but it is milk punch season. Maple syrup and allspice liqueur give this cocktail a pronounced autumnal flavor. Brandy joins Scotch and light rum in this heady, boozy drink.